Linda is the CEO of Muse Technologies, Incorporated. Muse is an exciting new start-up that specializes in IT transformation. Her company helps organizations develop strong leadership, technology, and program management solutions to achieve powerful outcomes. As the former Chief Information Officer (CIO) of the National Aeronautics and Space Administration (NASA), she led one of the best IT organizations in government. Linda served as principal advisor to the NASA Administrator, providing insight and technology leadership to some of the most brilliant scientists and engineers in the world. She held various other executive IT positions including Associate CIO at Department of Energy and Deputy CIO at Bureau of Alcohol, Tobacco, and Firearms. She was born and raised in Washington, DC and went to DC public schools attending Duke Ellington School of the Arts studying trumpet, French horn, and piano. In 1980, she graduated from Howard University with a BS in Mathematics. She later received a Master of Science degree and post-Masters advanced certificate in Applied Mathematics at Johns Hopkins University. She has been published in the Journal of Sound and Vibration. Linda is well-known as a strong leader and innovator. While CIO, she created the popular NASA CIO blog and continues to be a prolific blogger. She received significant recognition for being a pathfinder for other federal CIOs in the professional use of social media. 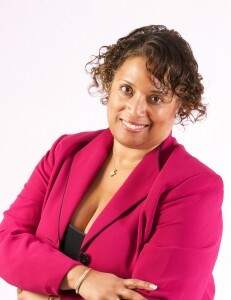 She has written several articles for Federal Computer Week and Institute for Electrical and Electronics Engineers and is a monthly contributor to Information Week Government. 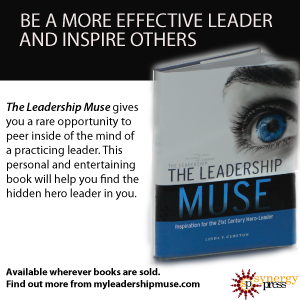 She is the author of The Leadership Muse an educational and inspirational book that outlines lessons for today’s heroic leadership journey. She currently serves on advisory boards for: the Open Systems Software Institute, the Professional Capture Management Forum, and the DC Youth Orchestra Program. Some of her former professional affiliations have included the Armed Forces Communications and Electronics Association, Gartner Group Information Technology Executive Program, Women in Technology, American Council for Technology, Government Information Technology Executive Council and the Society for Information Management, Advanced Practices Council. She has received prestigious awards including the 50 Women of Influence and Power Award from the Minority Enterprise Executive Council and the ITSMF Summit Heritage Award. Linda has also received recognition from the Washington Business Journal- Women Who Mean Business and she was a Women in Technology Award Finalist for Excellence in Leadership, Mentoring and Technology. She was honored as Government Computer News Civilian Executive of the Year and was recognized as one of Washingtonian Magazine’s Tech Titans, one of Federal Computer Week’s Fed 100, and one of Business Insider’s 25 Most Powerful Women Engineers. Linda also has a small home-based business that provides piano lessons where she teaches with her mother. She lives in a Washington, DC suburb in Maryland with her mother, her husband of 21 years, and his grandson.